As a way of rewarding those players who support our great venues and the servers that care of us for three to six hours a night, Kontenders Poker League will be hosting a Regional Big Spender Free Roll for these players. The events will be announced by TD’s and will be posted on Upcoming Events. 1. Your TD will have a sheet every night for you to write the amount spent and tip given in separate boxes. Anyone caught cheating will not be allowed to participate in that season’s free roll. 2. It is the player’s responsibility to enter the correct amounts if you want credit and the chance to play in the free roll. If the name or amounts are illegible, the receipt will be discarded. 3. Place your receipt, with your name written legibly on it, in the envelope provided by your TD. 4. At the Regional Big Spender Free Roll, bonus chips will be given according to the percentage of tips a player has given during the season. For example, if you spent $200 and you gave a total of $50 in tips, you would get a 25% bonus on your stack. 5. 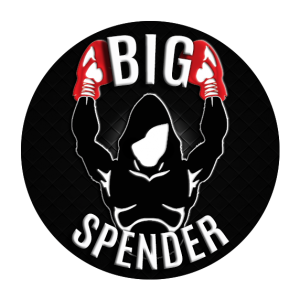 Be in the top ten (top 5 for NJ East) (subject to change based on capacity of the location) of the Big Spender standings, at any Venue, with no less than 15 points.